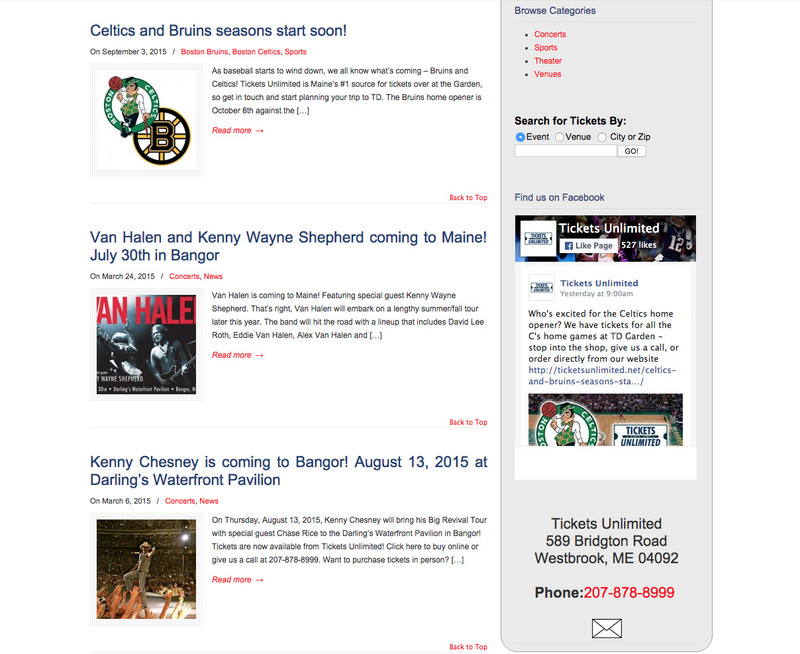 Tickets Unlimited has been a ticketing vendor staple in Westbrook (just outside Portland) for over 20 years. The previous HTML site was in rough shape, so we completely rehauled with a modern look and feel, and most importantly, the functionality to buy tickets. 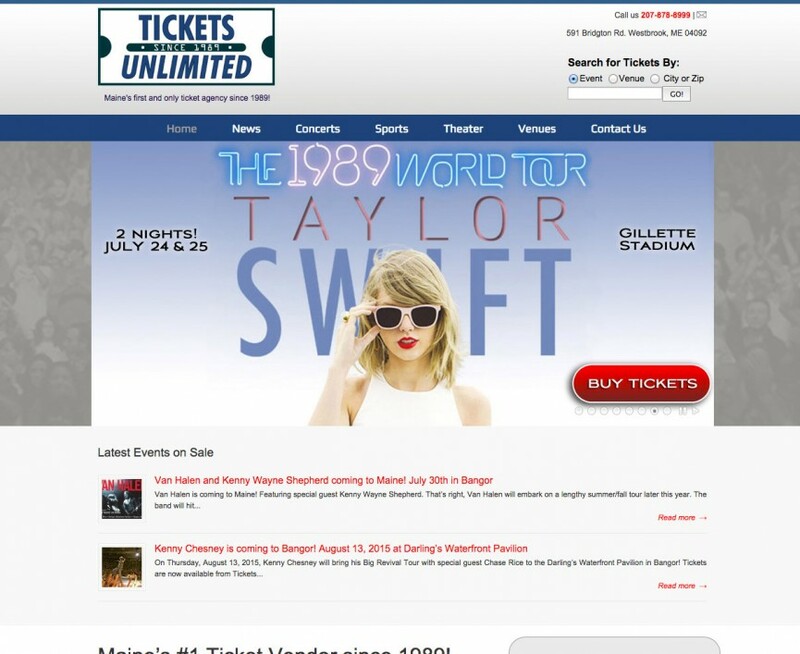 The site is fully responsive and is tightly integrated with their ticketing software – EventInventory (LiveNation).